Cherokee manufacturing distributes a wide array of geogrid fabrics for base reinforcement to meet many site conditions. Punched and drawn polypropylene geogrids are most commonly used because of their superior resilience to damage during construction which prevents reductions in performance of the installed product. 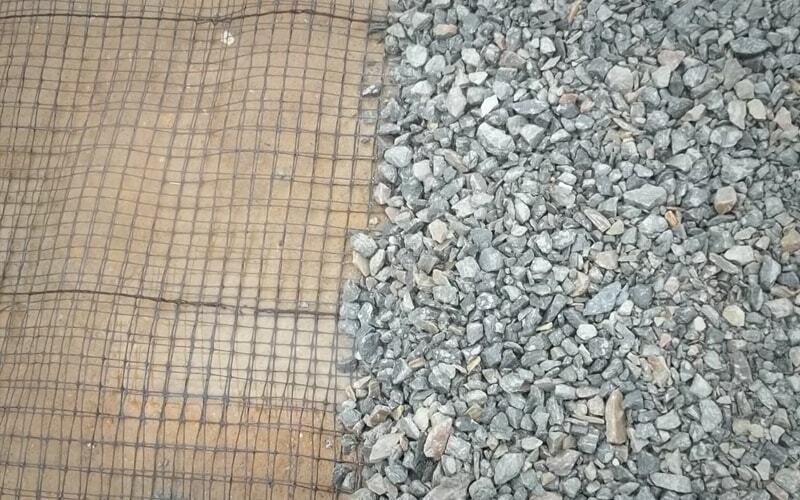 We also provide coated polyester grid products in applications where achieving the high strength of the geogrid is required at elongations of 10% or less to prevent any settling or rutting of the subgrade. Dissipate heavy loads over a greater area than standard aggregate. Create aggregate interlock to prevent select fill in the base section from migrating during heavy load passes in flexible pavements. Allow high hydraulic permittivity to reduce wet conditions in the pavement layer that cause premature degradation of the roadway. Reduce deformation of the base layer, in turn preventing cracking in surface course of hard pavements.